For the last couple of years, automotive airbags have been in the news, usually in connection with the name Takata. Millions of cars have been or are subject to recall because either the front driver-side airbag or the passenger-side front airbag has a faulty inflator. The devices were built by Takata, once the second-biggest airbag manufacturer in the world, now owned by another manufacturer. The reason for the change in ownership was simple: the number of dangerous front seat devices was in the millions. Indeed, estimates say that authorities may have to sort through as many as 48 million vehicles in the U.S. for the faulty airbag inflators. And, you have to add the number of cars outside the U.S. as well. It is an immense task; as many as 42 to 49 million vehicles in the U.S. may have had faulty airbags installed. There are approximately 55 million others across the globe that have to be looked at to find the rest. Takata began its first recalls of the faulty airbag inflators about a decade ago, calling back vehicles built from 2000 to 2008. Subsequent recalls added hundreds of thousands of cars to the original recalls. No automaker was untouched either. While Honda had the highest impact because Takata was its sole-source supplier for years, another 19 automakers also have felt the impact of what has become the most massive safety recall in history. The recall is a must for the auto industry because of the deadly consequences facing the industry. The issue takes on its true meaning when you consider the fact that there have been 15 deaths attributed to the faulty airbag inflators in the U.S. There have been at least five other fatalities and 200 injuries associated with the airbags outside the U.S. It is a problem automakers cannot ignore. On Monday, Volkswagen became the latest automaker to add to the number of vehicles that may contain the deadly airbag devices. 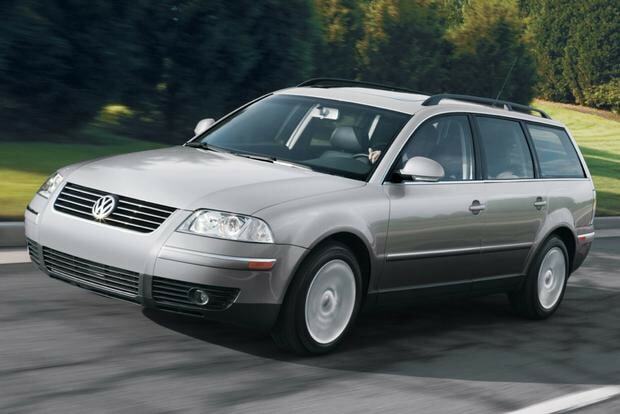 According to the National Highway Traffic Safety Administration (NHTSA), Europe’s number one automaker recalled another 71,335 2006 and 07 Passats and Passat wagons because their airbag inflators may explode. The reason it happens, according to investigators who looked into this problem in 2016 and 17, is that moisture causes the propellant to deteriorate. As it decays, the blast pressure created to activate the inflators increases dramatically. The explosive, ammonium nitrate, attracts moisture and degrades over time. Investigators found that poor manufacturing techniques in at least two Takata plants left many inflators poorly sealed; capable of moisture intrusion. With that said, VW has begun notifying owners of the vehicles involved in this phase of the airbag callback. Dealers will replace defective inflators with alternative devices, the NHTSA said. For more information on this piece of the ever-changing airbag recall, contact VW customer service at 800-893-5298 and ask for details on recall campaign 69Q8. The official NHTSA recall is 18V247000. You can find more information about this recall at 888-327-4236, the agency’s safety hotline. Or you can visit the agency’s website www.safercar.gov for details. One last note, the agency announced that this recall partially succeeds the 2016 recall 16V079000.